"The Hungarian government looks at green economy not as restriction or a constraint, rather as a great economic opportunity. After every crisis something naturally emerges as an engine for recovery and we believe that for small countries, like Hungary, greening the economy can serve as a new and energizing opportunity. The Hungarian government launched the New Széchenyi Development Plan this year. 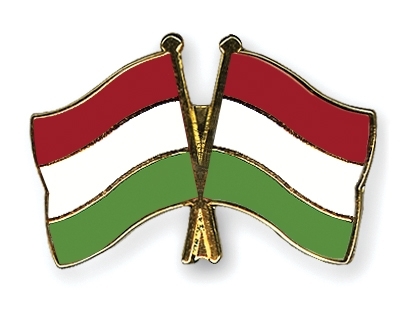 The Plan aims at improving Hungary's competitiveness, creating one million new jobs within ten years along seven break-out points - one of them is the development of green economy. In the business promotion scheme a set of conditions presented, where sustainability, resource efficiency and environmental impact have high priority. Green economy can especially be important for small and medium size enterprises where creativity and implementation of innovations can boost business. It is also an opportunity for local producers since the consumption of local products means reduced transportation needs, lower energy costs and pollution, helps local producers to market their products and can provide further green job opportunities. The raising awareness and the growing demand for healthy organic food and other organic products call for greening the agriculture too. Organic production and the cultivation of traditional local sorts and species requires less or can even eliminate the use of pesticides and other chemicals. Hungary, being traditionally an agricultural country, has long traditions of and good potential for organic production. Agricultural and forestry by-products and residues can perfectly be used as renewable energy sources. Considerable electricity producing capacity has been realized in the past few years transforming previously coal-fired power plant blocks to biomass utilization. Several Hungarian district heating companies switched to solid biomass based operation. Biogas production is based on agricultural and food industry waste and sludge, and mainly used in Hungary for heat and power production. We have great potential for the utilization of geothermal, solar and wind energy too. In the Renewable Energy Action Plan the government had set an ambitious target of almost 15 % share of renewable energy in gross final energy consumption by 2020. Large amount of energy wasted because of the inefficient buildings, especially due to bad insulation of blocks of flats. The government’s re-launched support scheme provides financial support for energy efficiency improvements of blocks of flats built in the communist era. Transport is responsible for a considerable percentage of greenhouse-gas emissions. Promoting public transport modes (railway, sub-urban railway, urban public transport) and biking, discouraging the use of private cars in particular in city centers helps climate change mitigation and contributes to improving the quality of life of the urban population. These are only a few selected examples of programs and measures aiming at implementing green economy in Hungary. And we have not even mentioned research, technology, innovations, training and education, awareness raising, sustainable consumption and production, which are of special importance in green economy too." Following the example of forerunners in different parts of the globe, Romania can obtain the significant benefits by lower energy costs, greater energy security, and creation of employment – including many new skilled jobs in green technology, products and services. As Romanian buildings utilize almost 40% of the energy and have a direct impact on the quality of life for all Romanians, improvements in the new and existing buildings represent a tremendous opportunity to achieve economic stimulus, improve the lives of the citizens, and achieve the full benefits of international and European climate change legislation. In particular, construction renovation efforts provide numerous local jobs ensuring an answer to growing unemployment in the construction and related sectors. At the European level, the environmental industry was estimated to employ 3.4 million people in 2005. This was more jobs than those found in the automobile and chemical industry, demonstrating the potential of the “green market” to create immediate benefits for people in addition to achieving critical environmental stewardship in the long term. According to the European Renewable Energy Council, by raising the share of renewable energy to 20% of the EU’s energy consumption by 2020, the number of green jobs would rise by 2 million. The costs of implementing energy efficiency and renewable energy measures are minimal as they are not cash expenditures but rather investments paid back by future, continuous energy savings. With already proven technologies that are currently available in Romania, the energy consumption in both new and old buildings can be cut by an 30-50 percent without significantly increasing the upfront investment cost. In addition, government or private loans can be utilized to improve energy efficiency and have the benefit that the reach of existing programs can be vastly expanded without undue strain on today’s budget. Stronger legislation to promote energy efficiency is being implemented throughout Europe and the world. 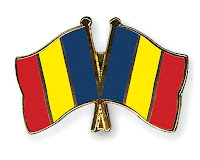 Romanian firms can prosper by developing the capabilities to service these needs domestically, regionally and internationally that are generated from these higher standards. Alternatively, Romanian firms can be left behind as other nations win these projects. Most credible analysts predict continuously rising energy costs which will be transferred to the homeowners and businesses and hurt economic potential. More dramatic price increases can be expected as the global economic crisis turns again to growth. Therefore encouraging energy efficiency in buildings will provide economic safety and comfort to Romanians – particularly those most vulnerable to high energy bills. Measures to reduce carbon dioxide emissions obviously have the immediate and long term benefit require reducing dependence on fossil fuels. It is therefore important to also consider the value of avoiding the severe economic distress on families, businesses, regions, and economies as fossil fuel costs rise due to scarcity, increased human population, and economic growth. New buildings have the main saving potential (both energy consumption and CO2 emissions). However, significant GHG reduction and future cost savings could be easily achieved with public investment in the existing building sector through thermal rehabilitation of buildings. In Romania 38% of the thermal energy consumption could be saved through minimal thermal rehabilitation of existing residential blocks. The CO2 emission reduction potential from the thermal rehabilitation of old blocks alone is 4 million tons of CO2 per year. Considering that starting with 2013 many of the thermal plants will be excluded from the EU-ETS scheme and will have to pay (and pass along the cost to consumers) for every CO2 tone emitted, the saving potential is appealing. In addition, while opinions of causes may vary, it is a known fact that the citizenry is growing increasingly concerned about changing weather patterns – particularly those affecting agriculture and personal safety. According to a Eurobarometer survey from 2008, Romanians place climate change as the biggest global problem of the moment demonstrating a high level of concern for the matter. Impacts such as droughts and floods, increased temperatures would be highly disruptive to a country with such a strong agriculture sector. Many citizens would welcome strong action by government to understand and resolve the source of this problem. Finding pathways to a green economy is both a global and European opportunity for overcoming the international economic problems, and this pursuit is accompanied by a much friendlier attitude to the exhaused natural environment. It is thus that economic profit will be able to meet the demand for both a higher employment rate and proper environmental protection at the same time. As far as Bulgaria is concerned in particular, the pathway to a green economy is not a luxury. The green economy is rather a necessity, as the country avails of specific local opportunities for implementing different environmentally-friendly approaches. The sparing consumption of raw materials, the reasonable management of agriculture, and the modern attitude to waste management can prove to be highly profitable. The technology-aided economy can be environmentally-friendly as long as it never stops the process of analyzing and inventing. The environmentally sustainable employment brings about a higher level of social responsibility. Remote territories also offer economic opportunities. What business needs is the guidance and support of the government, in order to be able to step on the road leading to a more prospective destination. Each EU member country, each business sector, and each individual company must establish and implement specific, autonomous, and locally oriented business strategies and tactics of its own. It would be unrealistic to expect that the Green New Treaty for Europe initiative could be some sort of a modern centralization of the national and sector-specific economic policies, some kind of a “taking the individual managerial and economic entities by the hand”. To run each individual business means to take individual business risks, whereby the environmentally-friendly approaches envisaged by the GNT will make no exception to this rule. Both the profits and the costs of every such business will depend on the managerial and economic decisions made by these entities and they will continue to make profits and incur losses “on their own behalf and at their own expense”. The Bulgarian managers and entrepreneurs have to pay special attention to this fact in view of the characteristic and markedly low level of managerial and entrepreneurial culture in this country. This situation has been revealed by a number of targeted surveys and by the empirical indicators they have produced on precisely these issues in Bulgaria, as well as by numerous other studies. There is also another well substantiated reason for the Bulgarian institutions and businesses to get committed to their local specific approaches for utilizing new and environmentally-friendly economic opportunities. The different sectors of the national economy, and the Bulgarian economy as a whole, are ranking almost at the bottom of the index rating scale measuring the economic development of the EU member states. The pursuit of a conservative, compilatory, and imitative strategy (with almost no intensive innovations and the lack of any financial back-up for investments in such innovations) has limited the country’s resources, thus making it impossible for it to improve its current situation and move forward from a purely quantitative point of view. Such a strategy is incapable of changing the current situation in the country in qualitative terms either. This is the reason why the entire responsibility for the “green” present and future of the country is lying on the shoulders of Bulgarian business, no matter how undesirable this fact seems to be for Bulgarian businessmen at this particular point in time. Last but not least, the current specific local peculiarities in this country would pose an insurmountable barrier to each mechanically introduced and non-adapted business strategy, which happens to have failed to take these peculiarities into consideration. What is meant here is not so much the geographic and climatic location of Bulgaria as the inherited current situation of the sector-specific structure of the national economy and the entrepreneurial models of doing business. This is especially true with respect to the intensity and success-rate in the area of research and development of innovations, and the topical trends both in the area of vocational training and on the Bulgarian labor market as well.